This evening I'm going to make an exception from the regular weekly programme and not have a Friday Islay picture. 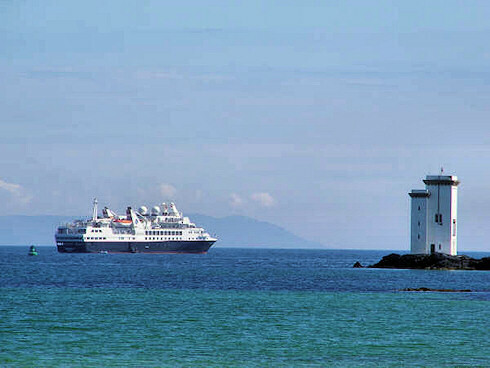 That doesn't mean there won't be any pictures from Islay this evening though, on the contrary. I have received four great pictures of two visitors to Islay today instead. 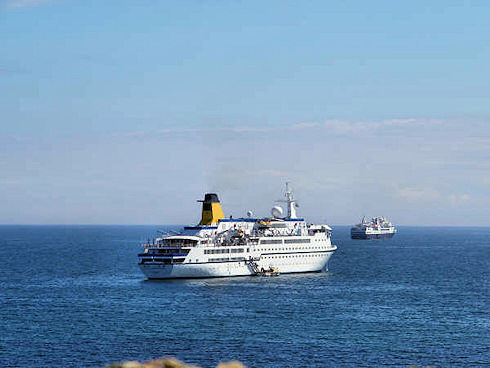 The cruise liners ‘Spirit of Adventure’ and ‘Prince Albert II’ arrived at Port Ellen earlier, bringing a lot of visitors to Islay with them. 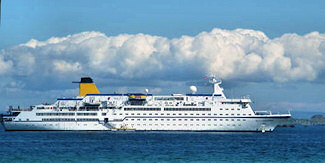 Elliott of Islay Shipping has a few statistics: The M.V Spirit Of Adventure arrived early in the morning bringing over 300 passengers with her. 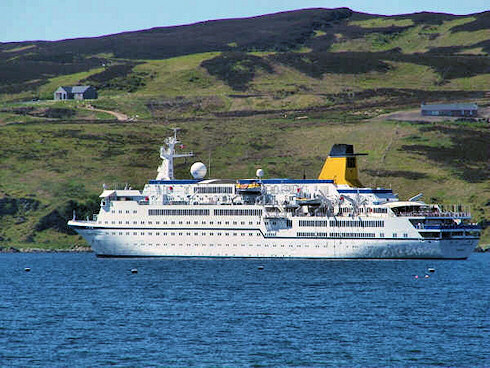 In the afternoon she was joined by the M.V Prince Albert II arriving from Gigha. I don't know what the largest cruise ship having visited Islay so far has been, I wonder how the Spirit of Adventure compares to previous visitors? I'm guessing she'll hold up rather well. Looks like they picked a good day for their visit with some nice sunny weather. With that it's time to wish those of you in the UK a great bank holiday weekend, I believe it's also Memorial Day weekend in the USA. For anyone else just a great weekend!